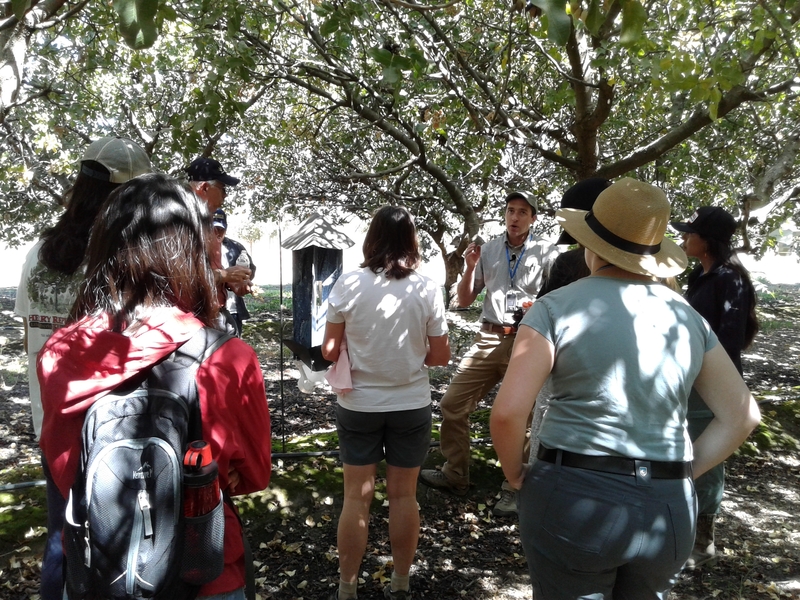 UCD plant pathology graduate students visited Kearney on May 13, 2016 to have classes in the field. Bob Gilbertson, professor in the Department of Plant Pathology at UC Davis, specializing in seed pathology, virology, and insect-transmitted viruses, brought 18 graduate students to the University of California Agriculture and Natural Resources Kearney Agricultural Research and Extension Center (UC ANR KARE) in May. The visit was related to the course: PLP 205A Diseases of Field, Vegetable, Fruit and Nut Crops. The field trip started with a general introduction about the UC Extension principles and philosophy by Pete Goodell, UC Cooperative Extension advisor, Statewide Integrated Pest Management Program and UC ANR KARE. Students then got a field tour lead by Chuck Boldwyn, Center Superintendent of Agriculture at UC ANR KARE and field presentations by Florent Trouillas, Assistant UC Cooperative Extension specialist in the Department of Plant Pathology at UC Davis and UC ANR KARE, Themis Michailides, Plant Pathologist in the Department of Plant Pathology at UC Davis and UC ANR KARE, and George Zhuang, UC Cooperative Extension advisor in Fresno county, specializing in viticulture and enology, on various diseases and related issues. Grapes: grapevine canker diseases (Esca, Phomopsis, Eutypa and Botryosphaeria). 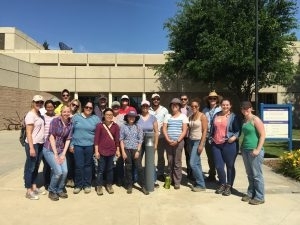 UC Davis graduate Plant Pathology students visiting Kearney in May 2016. 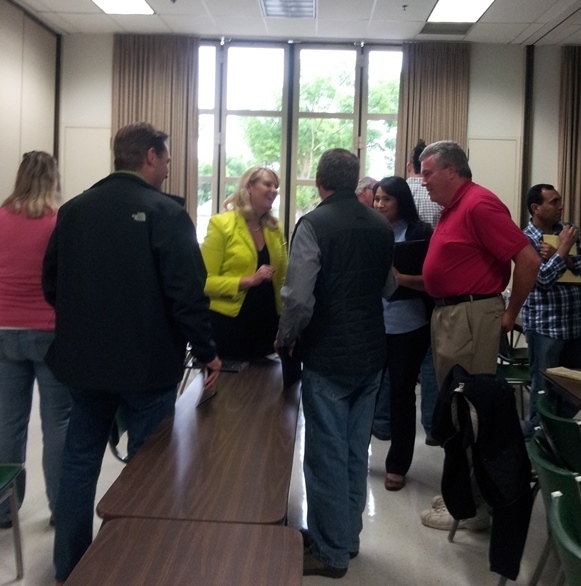 Meeting at Kearney helps stakeholders understand and detect Pistachio Bushy Top Syndrome. Jennifer Randall, Research Associate Professor in the Department of Entomology, Plant Pathology and Weed Science at New Mexico State University provided a presentation on “Pistachio Bushy Top Syndrome: Disease etiology and diagnosis procedures" on April 7, 2015 at Kearney Agricultural Research and Extension Center (KARE). The presentation was followed by a Q&A session conducted by Randall; Florent Trouillas, Assistant Cooperative Extension Specialist at KARE and in the Department of Plant Pathology at UC Davis specializing in fruit and nut crops; Craig Kallsen, UC Cooperative Extension advisor in Kern County, specializing in citrus, subtropical horticulture and pistachios; Robert Beede, UC Cooperative Extension advisor, emeritus, in Kings County, specializing in horticulture: tree fruit, nuts and grapes; and Elizabeth Fichtner, UC Cooperative Extension advisor in Tulare County, specializing in orchard systems. 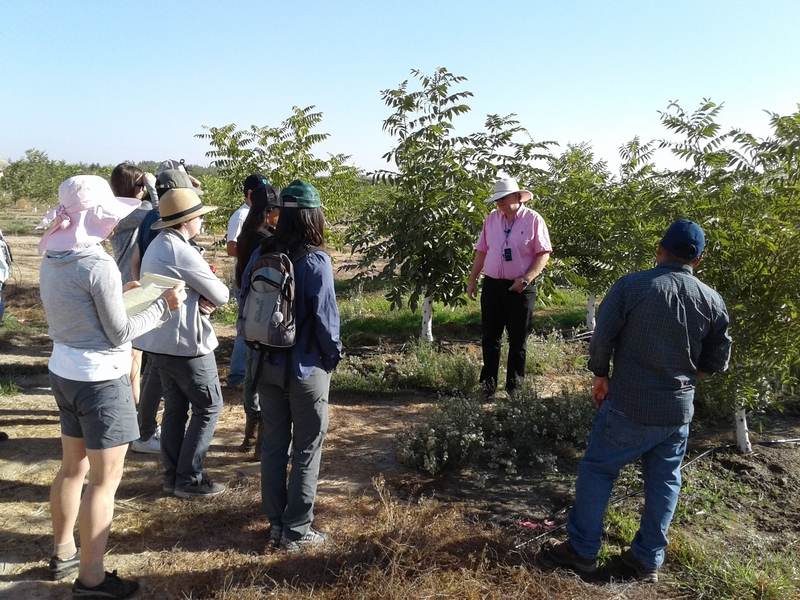 Background: In the last few years, a new disease affecting UCB1 rootstocks emerged in CA, AZ, and NM. This disease was named Pistachio Bushy Top Syndrome (PBTS). Scientific evidence in 2014 demonstrated that PBTS is caused by the bacterium, Rhodococcus fascians (Rf). The percentage of rootstock exhibiting symptoms varies widely among plantings. At least 20,000 acres in CA have been affected to some extent. Two strains of Rf have been identified. Each is pathogenic, and they act synergistically to cause more severe disease symptoms. 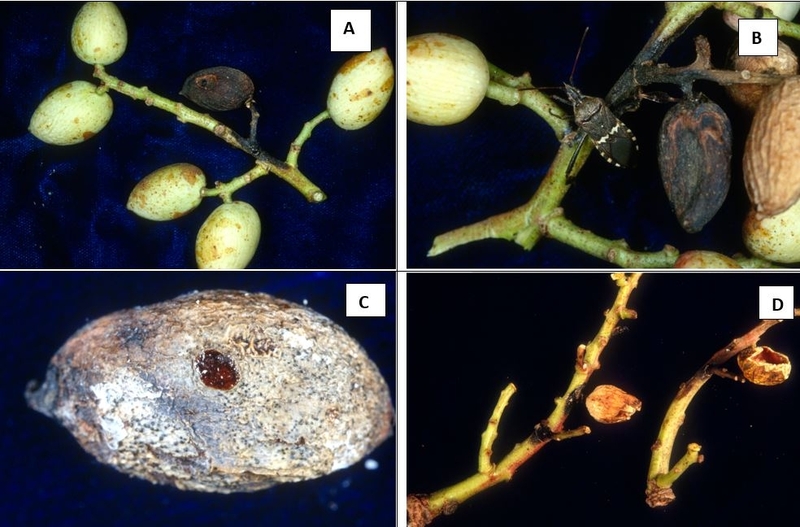 Pistachio growers in CA need to test for the pathogen in their newly planted orchards. This workshop attempted to bring academic, private and governmental diagnosis labs up to date on this new disease. Dr. Jennifer Randall from NMSU presented her group's latest research on the disease biology and detection methodologies. Question and answer session at Kearney after a presentation on Pistachio Bushy Top Syndrome: disease etiology and diagnosis procedures. A new plant pathologist joined Kearney October 1, 2014. 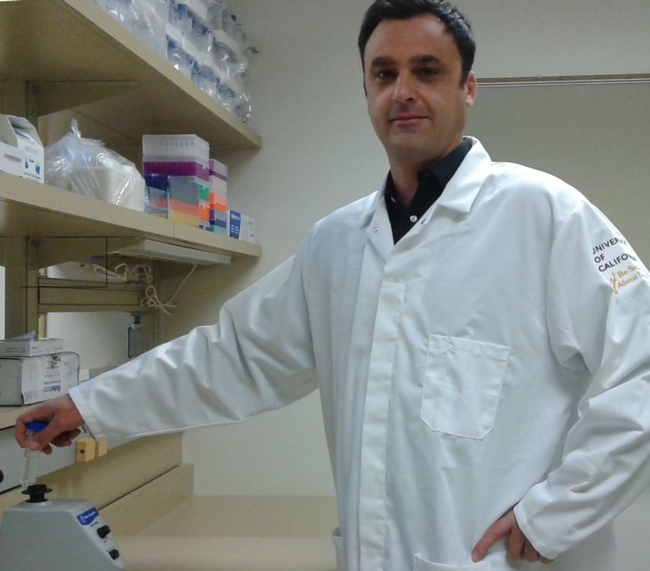 Florent Trouillas, UC Assistant Cooperative Extension Specialist in the Department of Plant Pathology at UC Davis and Kearney Agricultural Research and Extension Center (KARE), specializing in fruit and nut crop pathology, became a welcomed addition to the KARE faculty on October 1, 2014. Trouillas' research program aims to understand current as well as emerging diseases of major fruit and nut crops, and deliver efficient and innovative control strategies. His research includes basic and applied studies on the etiology, biology, epidemiology and control of fruit and nut crop diseases. Immediately prior to coming to KARE, Trouillas worked as a project scientist coordinating research projects in Viticulture for agricultural cooperatives in France. 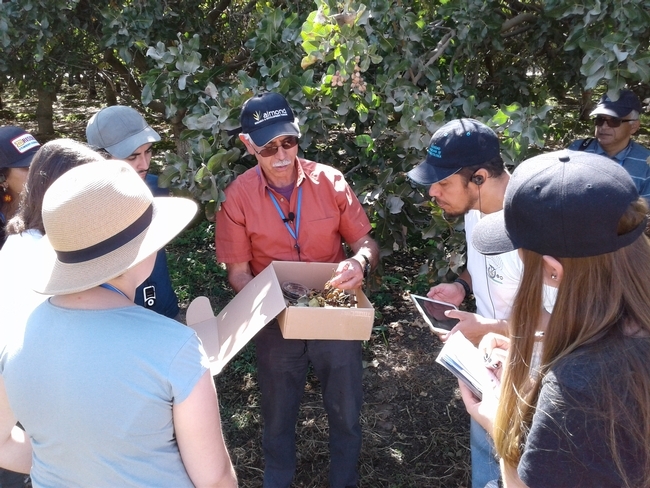 Trouillas was a graduate student and a postdoctoral researcher in the laboratory of Extension Plant Pathologist Walter D (Doug) Gubler in the Department of Plant Pathology at UC Davis. Trouillas' research emphasized the characterization and control of canker diseases of grapes, fruit and nut crops. Florent Trouillas in his plant pathology lab at Kearney.